Quinoa is something of a wonder-food which was of great nutritional importance in pre-Columbian Andean civilisations. 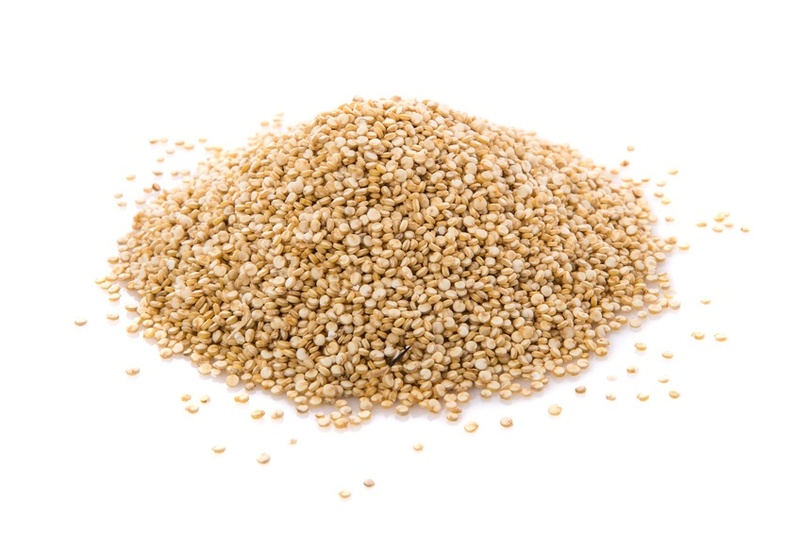 Quinoa is widely appreciated for its nutritional value. It contains a high protein content (12-18%). It also boasts a balanced set of essential amino acids, including lysine which makes it a complete protein source, unusual among single plant foods. It offers good quantities of calcium, phosphorus, magnesium and iron. Quinoa is gluten-free and easy to digest. Quinoa has a light, fluffy texture when cooked, and its mild, slightly nutty flavour makes it an excellent alternative to rice or couscous. After harvest, the grains need to be processed, in order to remove the coating containing bitter-tasting saponins. It is a good idea to rinse your quinoa prior to cooking. Quinoa can be cooked much like rice, 2 parts boiling water to one part quinoa. Cover at a low simmer and cook for 10 - 15 minutes or until the germ separates from the seed. The cooked germ looks like a tiny curl and should have a slight bite to it (like al dente pasta). As an alternative, a rice cooker provides an easy way to prepare quinoa, treating it just like rice (for both cooking cycle and water amounts). With the addition of sauteed onions and garlic, chopped parsley, stock powder and other seasonings quinoa makes a great stuffing for tomatoes of capsicums, or a simple pilaf to go with vegetables. It can also be used as an accompaniment for beans or stir-fry like rice. Quinoa flour is very useful in waffles or pancakes. For waffles just add ground seeds, water and salt. For pancake batter add eggs and soy, nut or oat milk and salt.